Specially designed, easily approaching dashboard gives you reports about your income. At every moment you can check your income for every station you have, also you have reports of sales history. This helps you to plan your further activities. 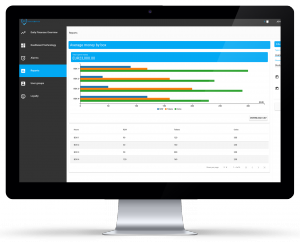 Dashboard gives you full review of all current and previous loyalty campaigns, user groups and notifications sent to your customers. From the one place you can create and edit new groups, campaigns and notifications.